Welcome to the Summerlin Condos in Fort Walton Beach, Florida! 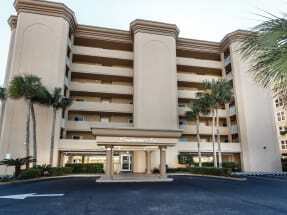 This beachfront condo complex sits directly on the white sandy beaches of the Gulf of Mexico on Okaloosa Island. The units are 2 bedrooms and offer private balconies with incredible views of the emerald green waters. Enjoy your morning coffee while watching the sunrise or a nice beverage to end the night as the sunsets. The complex is home to a community pool for your swimming access and 200 feet of private beach access. Summerlin vacation rentals are located in the heart of Okaloosa Island. Okaloosa is a barrier island just off the edge of Fort Walton Beach and just west of Destin, Florida. The area is fantastic for dining and shopping. Enjoy countless seafood restaurants, the famous Okaloosa Island Pier, and many other attractions. The location makes for a short and easy drive across the bridge to the Destin Harbor and an even shorter drive to all the fun things in Fort Walton Beach. Book Summerlin condo rentals on Emerald Coast By Owner. Each listing contains an Email Owner button and phone number for you to reach the Summerlin property owner or manager. Booking directly with the owner will assure the best rate on your next vacation to Fort Walton Beach, Florida!